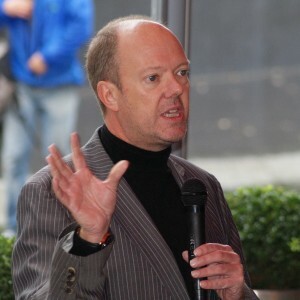 Adrian J. Cotterill is co-founder and editor-in-chief of DailyDOOH, perhaps the most well respected voice of the digital out of home and digital signage industry. Over the past 30 years Adrian has worked for IBM, Intel, Bertelsmann and a number of investors and business angels in positions such as Chief Technology Officer, Head of Internet Technology, Business Development Director, Head of Strategy and Interactive Marketing Manager. His work over the last eight years has involved industry analysis, market research, commercial and technical due diligence, software and hardware review, product design, branding and market entry strategy. As well as co-chairing the annual ‘DailyDOOH Investor Conference’ in New York, Adrian is a much in demand speaker at events around the world and a familiar face on the judging / award circuit. He is chairman of the jury for the DailyDOOH Gala Awards, chairman of the OpenSplash Steering Group, a member of MENSA, the High IQ Society and a member of the National Union of Journalists. He is the author of several books including ‘DOOH Insights: Five Years of Executive Thought’, co-author of ‘How MicroTiles Made An Impact At The London Stock Exchange’ and co-author of ‘The Technical Guide to Windows’.